Kotti, the new Ethereum Classic Proof of Authority (PoA) test-network is out, so it was about time we took it for a little test drive. Kotti is part of the Goerli project for making PoA testnets on both Ethereum and Ethereum Classic, which is funded by us at the ETC Cooperative. In this guide, we will go over deploying a smart contract to Kotti. Furthermore, with the guidance of Wei Tang (sorpaas), I’ve managed to use the latest Solidity version to target a specific part of the EVM that is compatible with Ethereum Classic. That’s right, no longer will an ETC developer be stuck on version 0.4.20 of Solidity! 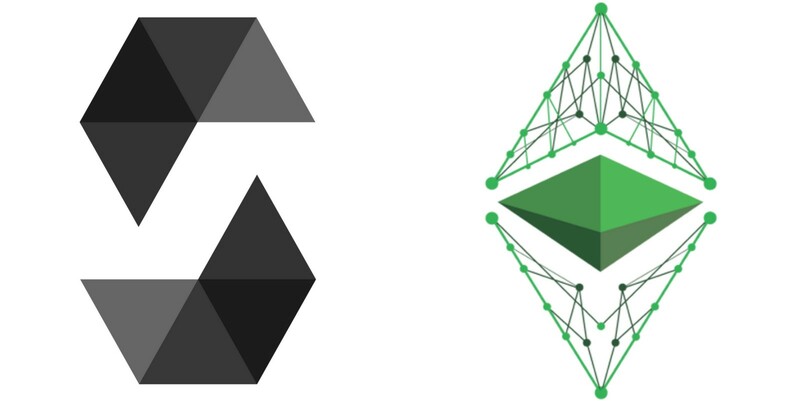 This basic guide will show you how to get started with Kotti and using latest Solidity for ETC. Kotti still doesn’t have a faucet, so you’ll need to ping me at @Yazanator on Twitter with your Kotti address so I can send you some test ETC. Kotti is currently available on Multi-Geth, a distribution of Geth that runs multiple EVM networks including ETH and ETC built by Wei Tang (sorpaas). We first need to clone and install the Multi-Geth repository. The following instructions will install Multi-Geth from Github. This will run Make to install geth, resulting in a binary file located in build/bin/geth which we can run. 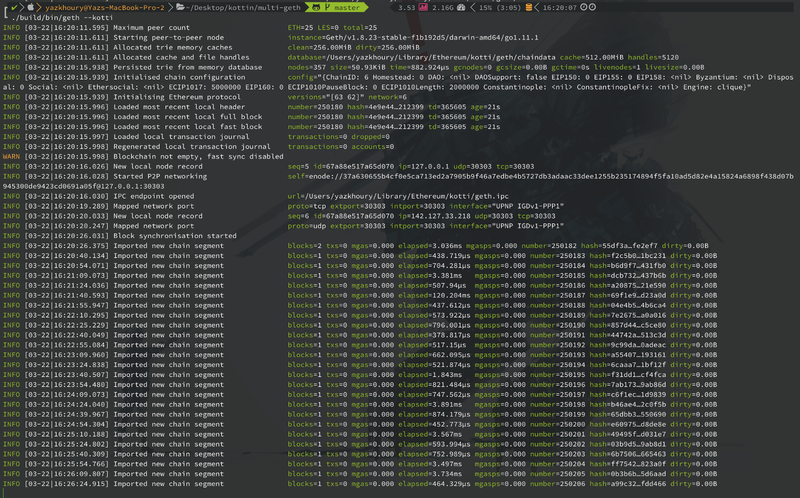 Great, we now have Kotti running in our terminal. Now, let’s create a key and an account. Here, we will create our private keys. This will begin creating a new account for you. It will first ask you for a passphrase. Please type a passphrase you can remember later on. Retype it to confirm. It will then provide you with a public address for your account. You will use that account to deploy smart contracts later. One thing you will need though is Kotti ETC, and we still need to build a faucet. For now, ping me on Twitter at “@Yazanator” with your Kotti address and I’ll send you some to test. Where ADDRESSA is the sender address and ADDRESSB is the receiver address. Great, whether you have received ETC from another address or I have sent you some, it’s enough to get started. Furthermore, you don’t need Kotti specifically for the next step of deploying a smart contract with Solidity 0.5.x+ to ETC. You can also connect to Morden or to the main network if you like, but then you’d need to have an account with real ETC there. Now comes the fun part, deploying a smart contract written in the latest solidity version to Ethereum Classic. The important thing to remember here is that we will be targeting a version of the EVM that’s pre-Byzantium (Byzantium is the hardfork with OP-Codes in ETH that’s missing in ETC, which will be introduced to ETC in a future hardfork). We will be using Truffle to deploy our smart contract to ETC on Kotti here. To get started, you need to have Node.js and NPM installed on your computer. Once it finishes installation, check it’s installed by typing truffle . This will initialize a truffle project inside the directory called kotti-truffle . I won’t go too deeply on what Truffle is doing here, just show you how to compile and deploy a smart contract for ETC to it. If you type ls inside the directory, you’ll find a truffle-config.js file. Inside it, we will need to target a specific version of the EVM that’s compatible with ETC. That is a pre-Byzantium one, so spuriousDragon is the candidate. Here we are targeting version 0.5.1, but you can try it out with later versions too. The smart contract code I’ll be providing hasn’t been tested on those later versions, so you might have to refactor it for later versions. Let’s test if Truffle can connect to Kotti (which is running on localhost on port 8545). That means you’re connected to Kotti. Type .exit to exit the console. Now, let’s add the smart contract code. This will be the smart contract from my previous guide in Adventures in Classical Ether where I go more in depth over how to construct the code, but this code has been modified for the later version of Solidity. This will compile the smart contract, resulting in a build directory which contains the bytecode and ABI.json. After you save it, we will begin migration of the compiled smart contract to Kotti. I’m not too worried about sharing this as it’s all on a test net. We have the contract address, which will be used when we interact with our deployed smart contract on Kotti. Let’s test our smart contract now. This assigns a variable trademark to the deployed contract TrademarkRegistration . If we type trademark we will get all the information on the smart contract that we received when compiling it. Now, to prove that this smart contract works with version 0.5.1 of Solidity, let’s interact with it and see what comes up. Yay! There you have it, a Solidity v0.5.1 contract working on ETC. Let’s register a trademark by spending a transaction from our Kotti account balance. Boom. The output shows the transaction went through, providing us with a transaction id. Great! It works. Here, we have demonstrated that ETC can run Solidity v0.5.1 smart contracts targeting spuriousDragon version of the EVM on the Kotti testnet. Hope you enjoyed this guide!